There are several steps one can take to troubleshoot their own game before seeking help. There are some standard recipes that can help with several game problems. Make a backup of theSims4 folder in Documents\ElectronicArts to an external drive or a different place on your harddrive (or burn it on a DVD or to a flash drive). This is only a backup if anything goes wrong. You won't need this folder for the further steps. Start the game (All your save games will be gone, your options will be reset to factory settings and all your custom content will be gone. Not to worry, it's all still there in that backup folder). A new Sims 4 folder will have been recreated in your documents\electronicArts folder. Some folders might be missing for they are only created when you need them. See if your error is gone. Starting putting the folders back, starting with your saves. Check your game after every folder. The Tray folder contains all your downloaded houses and Sims that show in your library. Only put stuff back from your mods folder that is verified to still work. ALL custom content can potentially cause problems. If you found out which folder is causing problems, put your stuff back in groups or one by one until you find the guilty party. Either make your own post, following the guidelines here: Help us helpers to help you or if you already have one and were referred here, post there. Out-dated graphic and sound drivers, missing Windows Service Packs and other components that are not up-to-date can cause problems with your game. Make sure you you update those regularly. Computer maintenance is important. Defrag your Computer, clean your Registry and get rid of temporary files on a regular basis. Also clean the ventilators from time to time and if you have a desktop open it up and clean it inside. Backup your important files. That goes for your music, your photos as well as your Sims User Files. You'll find the user files in Documents\ElectronicArts. Copy the whole folder to an external drive. They are both very important and no Computer should be without. Nevertheless can they lead to issues. 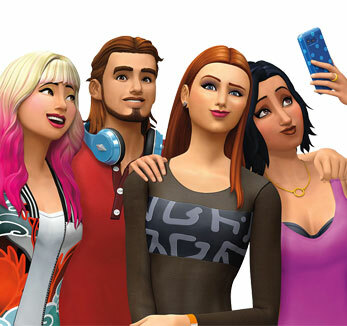 If you have trouble patching or the launcher doesn't work correctly, make sure you tell your Virus program/Firewall that the EA Site is safe by adding Origin.exe, TS4.exe, TS4_x64.exe and thesims.com and Origin.com, as exceptions. These tips are things you can try if you see any kind of weird behavior in your game. Go to Manage world and move your Sim out of his home and then back into the same one. If you have money troubles, use the cheat freerealestate. Start a new game to see if the error is only happening in the current save game. Make sure to completely close down your game before starting a different game. Not just go to the mainmenu. If you need help, make sure you post as much information as possible. Include your computer information and info about whether you use Custom Content or mods and what EPs you own. Please also state if you are on a PC or MAC and if you are using download version through Origin or Steam or DVD Version. 44 people had this problem. You only need to activate the game once. After that it's registered to the account you've activated your game and that cannot be changed. Get in touch with a game advisor. 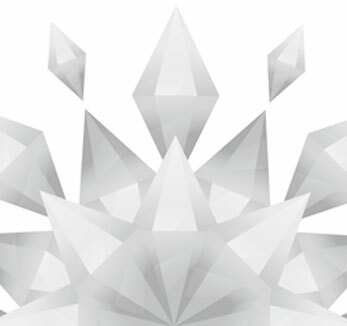 Please refer to this thread for information and suggestions on Game Crashes: [Info] Sims 4 Crashes. Most graphical issues are can either be pinpointed to graphics chips which are below specs or outdated drivers. Because of this, you should check if you fulfill the requirements of the game and that you have the newest drivers. If you have a dual graphics card system with an Chip/Card combo, make sure that the game runs on the card. Use ccleaner to clean your registry. Delete the Origin cache files. Start the game in windowed mode. If the game runs, lower all settings and put it back to full-screen mode. Make sure your computer fulfills the requirements of the game. Make sure the game is updated (Right-click on the Game in Origin and choose Search for Updates). How can I reset the Hosts file back to the default?